There’s no question that our daily lives have been more than reshaped by advances in technology that have taken hold in the last few decades, including mobile smartphones, online digital shopping, flatscreen TV’s, and a host of other exciting innovations, not to mention services such as Uber, Google, Instagram and many others. Dentistry itself has also been affected by these changes, and Dr. Carlyle is extremely passionate about staying up-to-date with the newest technology in the dental field and making sure that we are the very first practice in the area to invest in proven technological innovations that add to your dental health and quality of care experience. 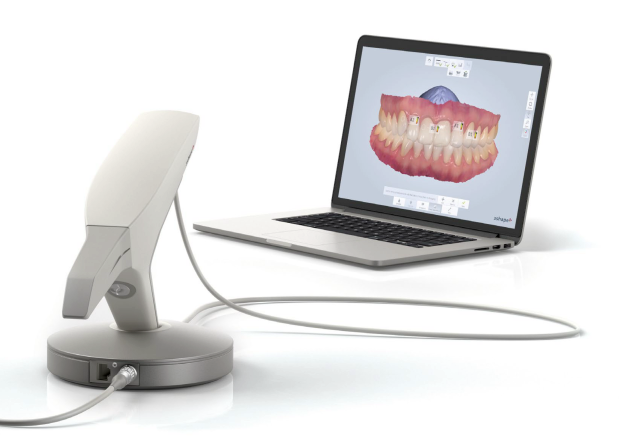 The field of dentistry is constantly evolving and changing to best suit patient needs, and in particular over the last 15 years, technology has redefined many aspects of dentistry. You may be interested in learning about the latest advances in the dental care we offer here at Carlyle Dental, and what’s new in terms of procedures and techniques that can make a big difference in terms of your quality of care. Because, in truth, some of these technological innovations being offered to the dentistry profession present changes that have been truly beneficial, while some others have been more a case of technology for technologies sake alone, and to have a skilled clinician such as Dr. Carlyle who is on your side and is able to distinguish those new innovations that truly accelerate and enhance your quality of care and your dental health is of the utmost importance. Dr. Carlyle has long observed that patients feel at ease knowing that their dental center only uses the most modern technology. Up until the last few years, many tried and true techniques of dentistry have been largely unchanged over generations, but now some of the technical advancements that Dr. Carlyle is regularly making to his practice deserve to be highlighted so you can see the role of technology in changing and improving your dental health and the quality of your visits to our office. 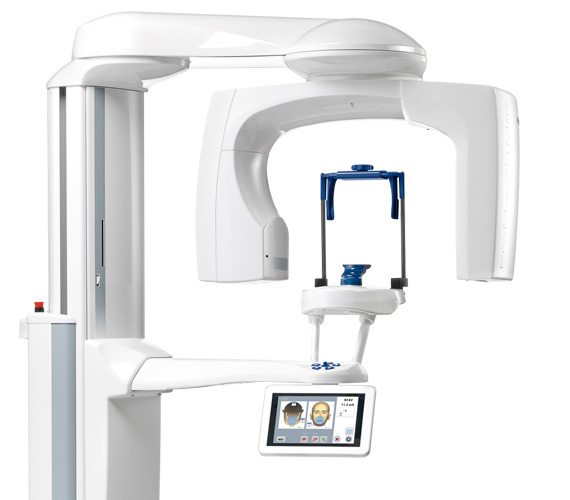 For instance, Dr. Carlyle made a commitment to improving patient outcomes when he integrated the 3Shape digital scanner into the Carlyle Dentistry practice. This amazing device allows Dr. Carlyle to get a three-in-one digital intraoral impression. This is a tremendous improvement in dental workflow, as a digital workflow allows for absolute perfection in data transmission, but the unique attributes of the 3Shape intraoral scanner for fast and easy 3D color impression taking is that it’s an integrated intraoral camera that allows us to instantaneously take a digital color impression using the scanner, including analyzing the scans and transmitting them to the dental technician all in one seamless process. Now when you’re being fitted for a crown or night guard for bruxism at Carlyle Dental, your impression will be made with our 3-Shape Digital Scanner, instead of having to endure unpleasant tasting impression material! Dr. Carlyle also upgraded from the traditional Panorex X-ray to the Planmeca 3D Cone Beam. The 3Dcone beam machine utilizes cone beam computed tomography, and its capabilities include 3D imaging, 3D photos, and digital 2D panoramics, making it yet another innovative technology that Dr.Carlyle has onboarded into the Carlyle Dentistry practice, and along with the 3Shape Digital Scanner,they both are used for making x-rays easier and more detailed. It’s an incredible technology that leaves patients absolutely thrilled as 100% of patients preferred this new and enhanced digital workflow that we are embracing at Carlyle Dentistry for its efficiency, accuracy and convenience for you as a patient. We can develop three-dimensional x-rays of your teeth and jaws, analyze and diagnose TMJ and sinuses, and effectively identify problems that were previously undiagnosable with pinpoint precision. The Planmeca 3D Cone Beam also aids Dr. Carlyle tremendously in dental implant treatment planning, as one of the main benefits of the 3D cone beam machine is that all of the guesswork has been eliminated from the process of placing implants and Dr. Carlyle is able to know exactly what he will find before he even starts the implant process. This, in turn, means that for Carlyle Dentistry patients, procedures are quicker, we are even more successful in terms of our already staggeringly impressive 98% success rate for implants, and implant patients are able to experience noticeably less post-operative discomfort. Since we are able to take three-dimensional x-rays of the whole face with ultra-low dose radiation that is less than we were able to with the traditional bitewing x-rays, and unlike traditional bitewing x-rays,we are able to see intramural structures in three dimensions instead of 2D, almost instantaneously. This allows us to diagnose any issues with your teeth in incredible detail, in addition to simulating implant placements and other treatments, or when it comes to detecting pathologies that standard x-rays simply just do not have the ability to show. Our investments in technology are designed to help make us better and more capable caregivers, in addition to offering you, the patient, the most technologically advanced procedures possible. Contact us today to set up a consultation and to learn more about how Carlyle Dentistry’s commitment to advanced dental technology can contribute to enhancing your family’s longer-term oral health care.